Following last year's Kingdoms of Amalur financial disaster that resulted in the closure of both Curt Schilling's 38 Studios and Maryland's Big Huge Games, Epic Games swooped in and rescued a group of Big Huge refugees, forming Epic Baltimore, eventually renamed Impossible Studios. Today Epic founder Tim Sweeney announced the studio's closure. "When former members of Big Huge Games approached Epic last year, we saw the opportunity to help a great group of people while putting them to work on a project that needed a team. It was a bold initiative and the Impossible folks made a gallant effort, but ultimately it wasn't working out for Epic," said Sweeney via an announcement on the Epic Games community site. Located in Hunt Valley, Maryland, and led by studio director Sean Dunn, Impossible Studios was tasked with finishing up Infinity Blade: Dungeons, a prequel to the hit series of iOS fighting games that served as a showcase for Epic's Unreal Engine 3 on mobile devices. That project is now on hold as Epic considers its future. While Epic wouldn't comment on the situation—my requests were directed back to the community post—in the light of a late January tweet by Impossible Studios head Sean Dunn I can only imagine the closure came as something of a surprise. 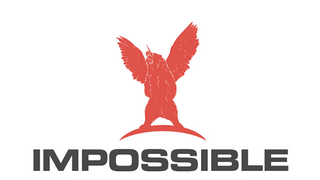 Impossible Studios employees will be given three months' severance pay, as well as the opportunity to reform the studio under the existing name, complete with that amazing horned, winged bear logo that debuted with the studio in August of last year.